Forget about hard shells, cheddar cheese and sour cream. Deep dive into what has definitely shaped one of the most iconic dishes from Mexico, “The Taco”. 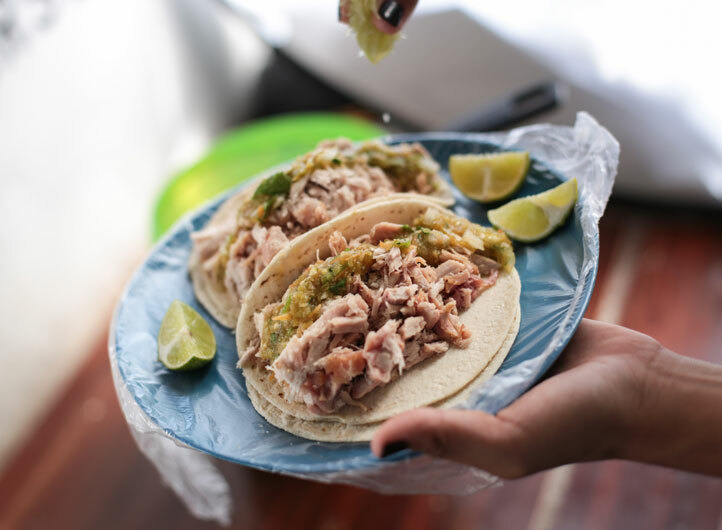 Get to know why the tortillas pair up with almost everything when trying the best tacos from the best taco joints. 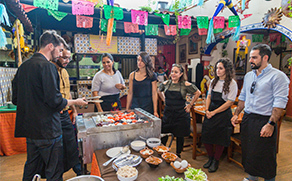 Learn everything from how to choose the ingredients and preparing a 4 course-meal representing different parts of Mexico. After your class delight on your own prepared "out of the oven" recipes on this intimate experience. Get off the beaten track and discover 6 secret foodie spots not found on the typical tourist maps and taste a different street food treat at each stop. From tacos to tamales, this mind-blowing day tour will take you on a culinary journey through Mexico’s gastronomy. This is definitely one of the most delicious things to do in Cancun! 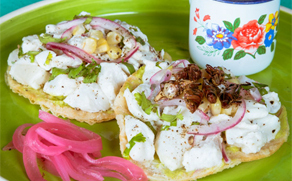 Welcome to Cancun Food Tours! Take a journey through Mexican Culture, Folklore, Food & Drink tradition of Cancun with one of our local food experts who will offer you a unique perspective of the city. Take a journey through food, local life & tradition as expert guides show you authentic Mexican dishes at Cancun's best local restaurants. One city, three hours, most iconic Cancun's dishes. Still not sure to book your Cancun Food Tour? Highly recommended! It’s definitely a must if you want to get off the beaten track. The food is amazing! The tour is run by super friendly and knowledgeable, English-speaking, local guides who take you to authentic places around downtown Cancun.They offer prompt transportation and great service. Don’t miss out on this one! Great activity to get out of the typical resort stuff. The staff were friendly and knew all about the history of the delicious local dishes we tried. Each restaurant visited was better than the last, very much off the classic tourist scene. I even got reccomendations of places to visit on my own! I highly recommend Cancun Food Tours. The staff are extremely friendly and knowledgeable and the food was delicious. 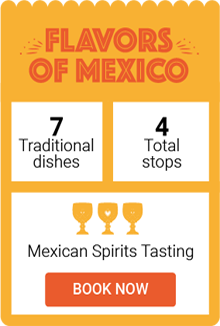 I’m a big foodie and wanted to learn about the diverse food scene in Mexico and the tour did just that! Not only do you get to try a number of local dishes, but you also learn about the history behind them. The highlight for me was eating marquesitas in the park! In Cancunfoodtours.com we have a passion for sharing and creating unique experiences. We believe that food allows people to connect, that is why we created a set of culinary tours to take travelers to the best places to eat in Cancun. Our goal is to provide every traveler, a local’s perspective of the city while they enjoy very diverse Mexican food and beverages from all over the country in local Cancun restaurants. 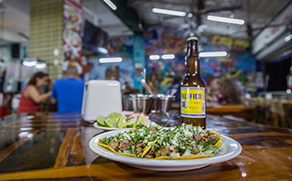 Mexican Food is more than tacos and Cancun is much more than a beach, so if you’re into trying new things and enjoying cultural experiences, you’re at the right place. Explore everything we have to offer with our Food Tours in Cancun. Eat, drink & discover Cancun as you see the city’s sight from a local' s view. 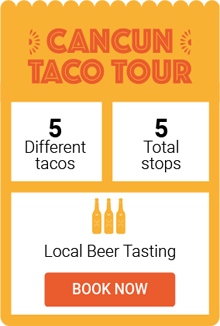 We’ve created several food tours for you to choose based on convenience, price, schedule and most importantly your desire to try a specific Mexican food. Group of 10 or more? Try our experience privately and exclusively for any number of group members. These private food tours are perfect for teams, corporate events or large friends outings. Just book, then relax. We'll take care of the rest, even transportation. Handpicked high-standard restaurants are only invited to be our partners. Get ready to immerse yourself in a one-of-a-kind mexican culinary experience. Hundreds of foodies have been delighted with our Cancun Food Tours.